El Arañazo Plataforma Cultural calls the Dominican and International artistic community to the second edition of it’s International Performance Festival “kilómetroCERØ”- to be held in Santo Domingo, Dominican Republic the days of November 16th until the 18th of 2017, under the concept of “rituales de isla: Island Rituals“. Is it true that the condition of insularity is an inalienable condemnation? Is it possible to live in insularity without the guilt one finds in being detached from the “mainland”? Is there fault in the islander for not understanding the same language as the one in the “mainland”? What/Who are the new islands that are navigating adrift in unknown waters? It is our understanding that performance and it’s different practices (art object, performance installation, photo performance and video performance) have plenty to say regarding this matter. We also understand that a way of addressing the idea, that Babel tower insularity provokes, is the engagement and exchanging between artists who hold different codes, languages and methods of approaching art. “Island Rituals” aims to explore the multiple approaches in which the quotidian is expressed through art and the actions that manifest being an islander, an island or feeling isolated. To deconstruct them with critical thought and establishing new readings from the line of action. We invite Dominican and international artists to present performance proposals and interventions in open and enclosed spaces allowing to establish from different axis of action the diverse circumstances in which one is an island; in current times where everything is constantly changing, where the ephemeral works as currency and postmodernity continues to try and define itself. Proposals will be accepted until August 20th, 2017 at 11:59 PM Dominican time (GMT -4:00). These must be sent to us at elaranazo@gmail.com. Attached to the proposal artists must include a short bio (less than two paragraphs) and four images from past actions. The selected local proposals will receive financial and logistical support within the collective’s possibility. Four of the international selected proposals will receive support for room, board and transportation once the participants arrive to the Dominican Republic. 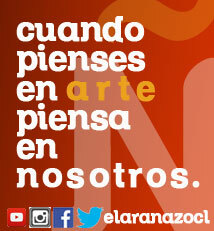 El Arañazo is a non-profit established in the Dominican Republic with a focus in cultural management. It specializes in creating and managing events regarding literature, visual art and AV. Its philosophy is to create more spaces for dialogue and interaction between artists and an avid audience that has new ways of accessing contemporary cultural content; always faithful to the mantra “Culture isn’t nor has to be boring”.